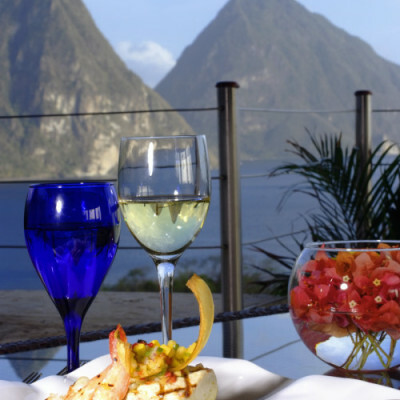 Nicknamed “The Helen of the West”, Saint Lucia has the weather, location, culture and food to be one of the most beloved vacation destinations in the Caribbean. 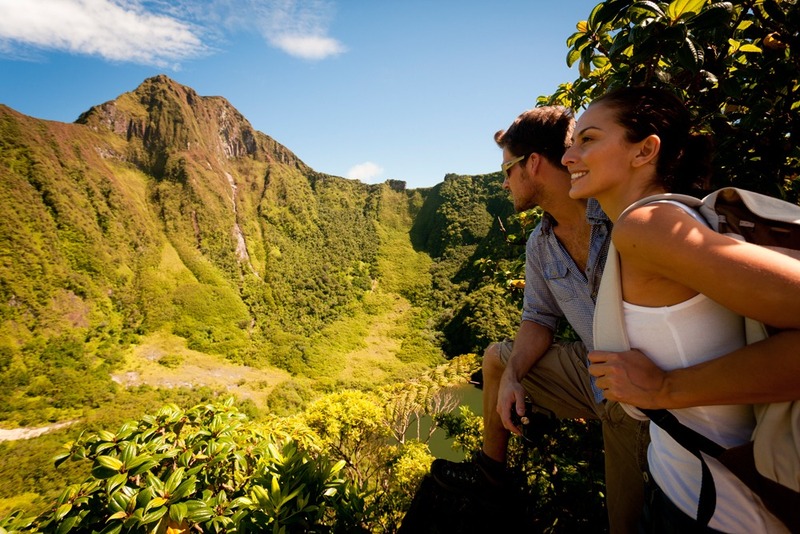 Saint Lucia’s landscape is a combination of high mountains, lush rainforests, low lying lands and beaches. 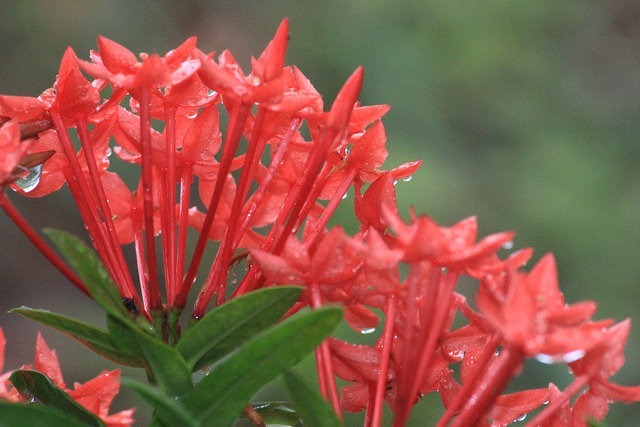 Forests dominate the mountains, while jasmine, scarlet chenille and wild orchids provide splashes of color to the lush green slopes. 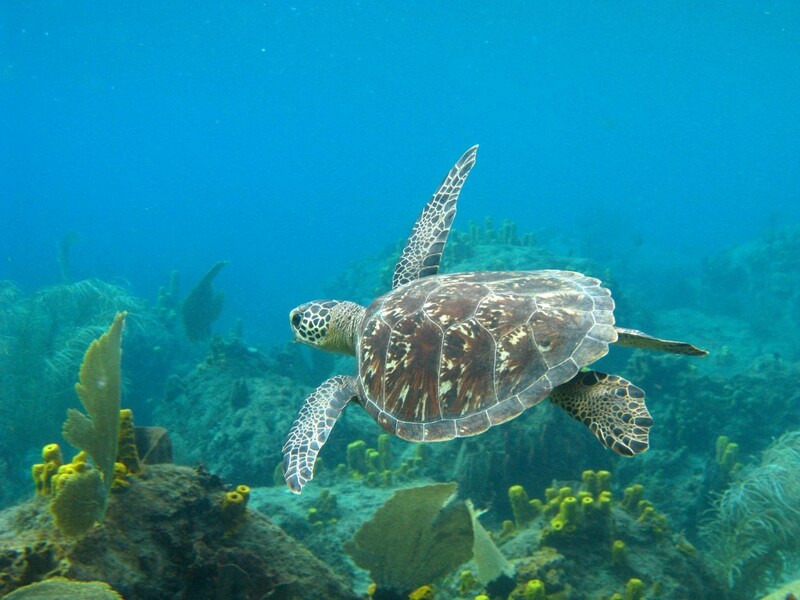 The island is home to a UNESCO World Heritage Site – magical Piton Mountains. Two towering volcanic cones, Gros Piton (797m) and Petit Piton (750m), rise majestically from the Caribbean Sea on the southwest coast. 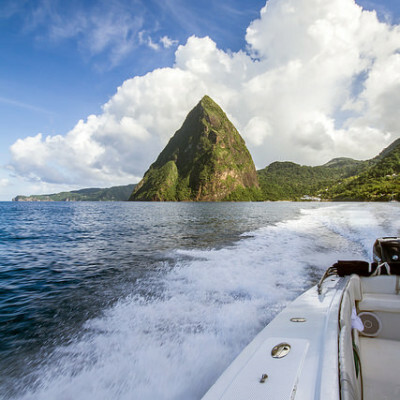 These green-cloaked peaks are one of the Caribbean’s most famous landmarks and perhaps the most photographed feature of St. Lucia. 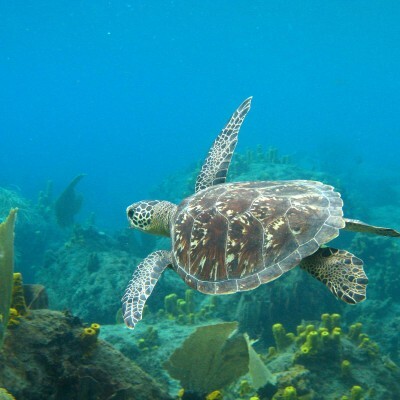 The volcanic origin of the island provides visitors with an opportunity to visit the Caribbean’s only “drive-in volcano” and take a dip in the reputedly therapeutic Sulphur Springs. 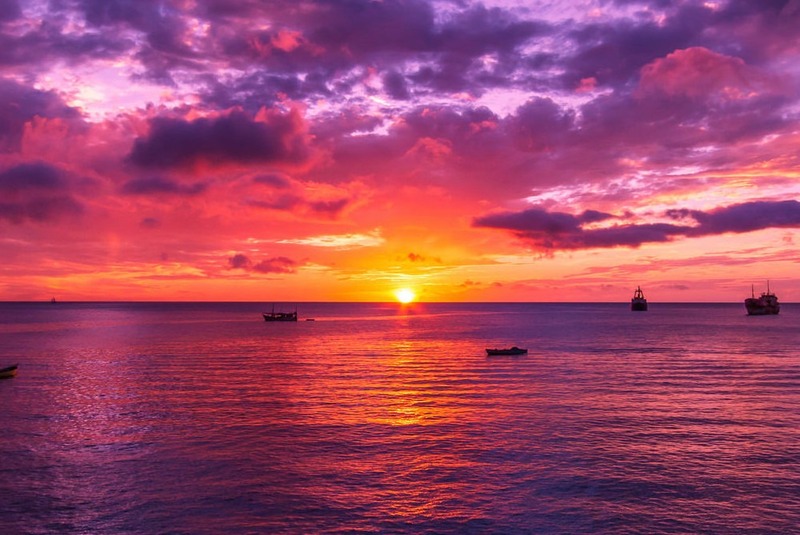 One of the Windward Islands, Saint Lucia is located in the middle of the Eastern Caribbean archipelago and is approximately 21 miles south of Martinique and 90 miles northwest of Barbados. 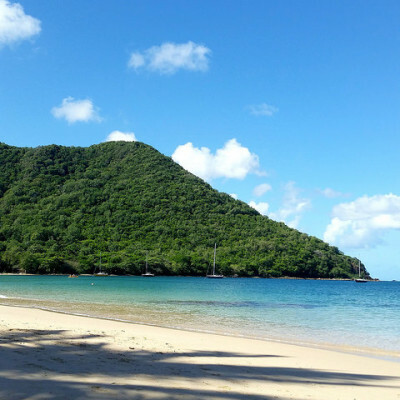 The Atlantic Ocean rims Saint Lucia’s eastern shore while the Caribbean Sea lines the west coast which offers the calmest surf and finest beaches. The Island is approximately 238 sq. miles (616 sq. km), 27 miles long, 14 miles wide with a largely mountainous topography. A central mountain range runs the length of the island, with peaks ranging between 1000 and 3145 feet in elevation. English is the official language, French Creole is also spoken locally. 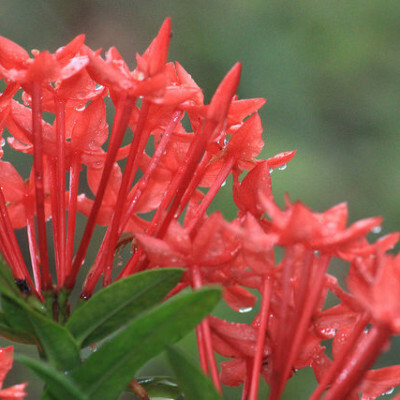 The rainy season is from June to November and the drier period between December and May. 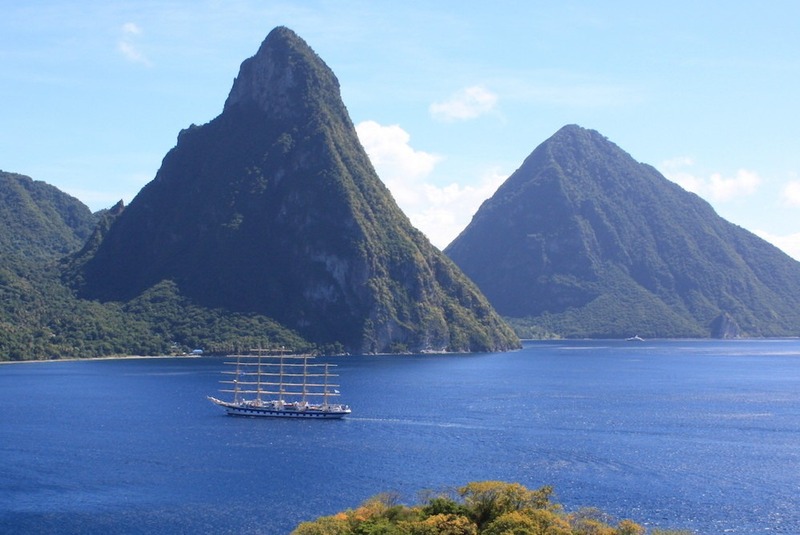 Saint Lucia gained independence from the UK in 1979. The head of state is still the British monarch, represented on the island by a Governor General. Member of the Commonwealth of Nations, the Organization of American States (OAS), the Caribbean Community (CARICOM), and the Organization of Eastern Caribbean States (OECS). Permanent member of the United Nations. No taxes on worldwide income tax, no capital gains, inheritance or gift taxes. Tourism accounts for approximately 65% of GDP and has been established as the highest foreign exchange earner. 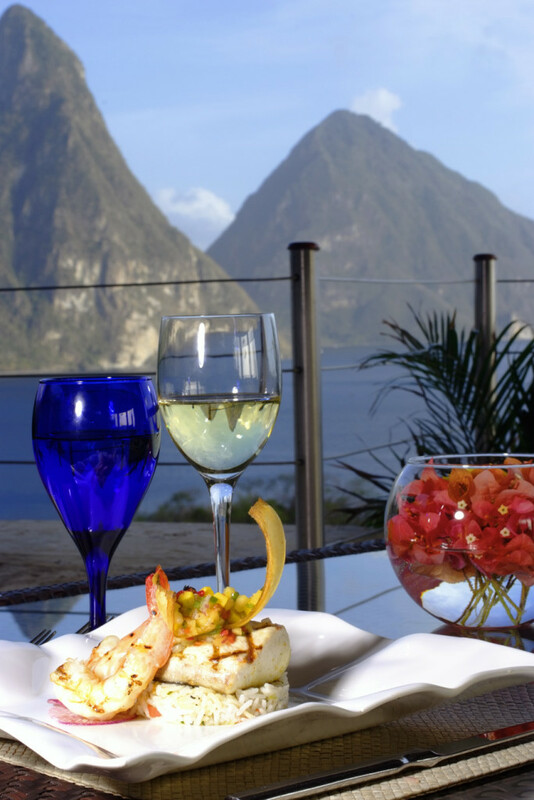 The weather, location, culture and food are special in making Saint Lucia one of the most beloved vacation destinations among people throughout the world. However, one of the most unique aspects of life on the island is the music. Music genres such as Salsa, Calypso, Latin Jazz and Reggae all originated in this part of the world. 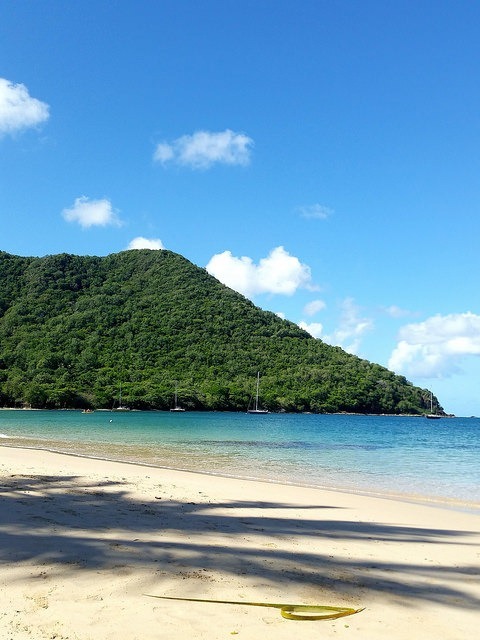 In April and May music lovers flock to Pigeon Island National Park for the Caribbean’s premier cultural event – the Saint Lucia Jazz & Arts Festival. Here cultural enthusiasts, festival lovers and music aficionados are wooed by over 50 world-acclaimed entertainers and artisans over 10 days. 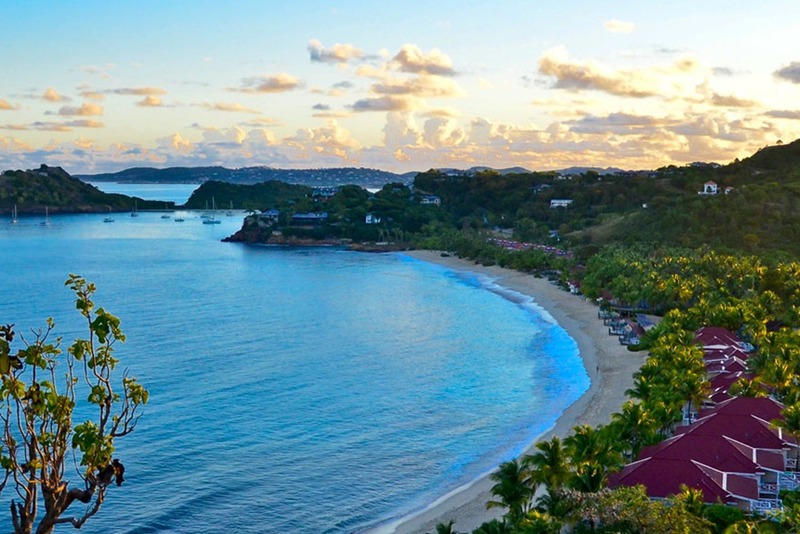 St Lucia’s two airports Hewanorra International Airport and George Charles Airport are easily accessed by direct flights from Miami, New York, Toronto as well as other major airports. Visa-free travel to approximately 110 countries. St Lucia’s famous Sulphur Springs is the hottest and most active geothermal area in the Lesser Antilles. 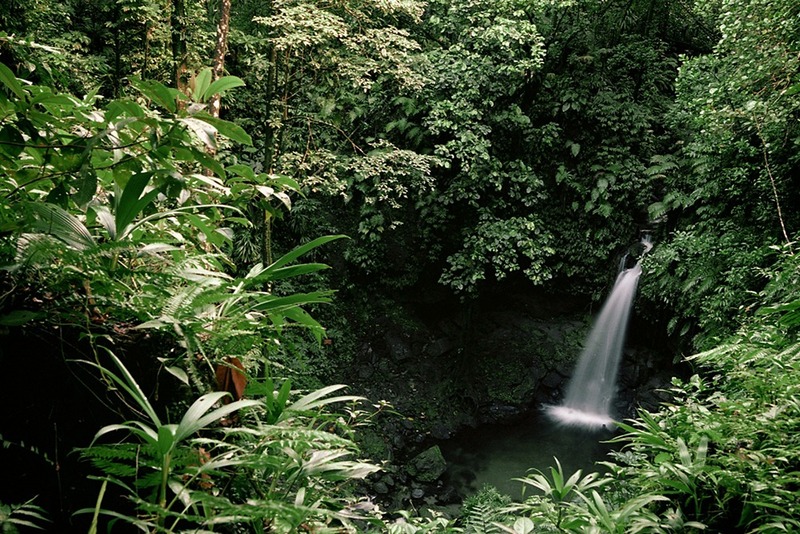 The park is approximately 45 hectares and is billed as the Caribbean’s only drive-in volcano. There are man-made hot pools where locals and visitors alike frequent for the healing properties of the mineral-rich water. 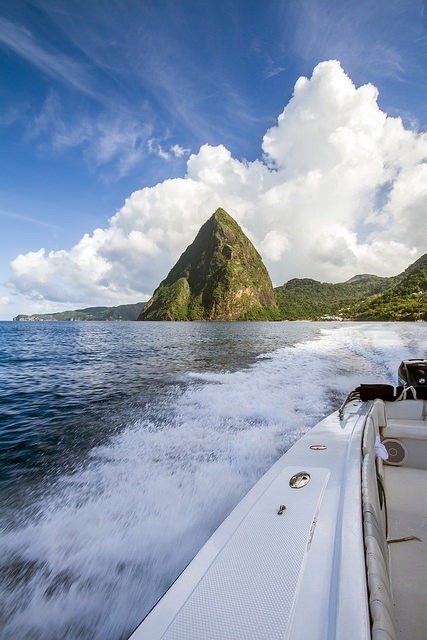 World Heritage Site in St. Lucia: two towering volcanic cones on the southwest coast, Gros Piton (797m) and Petit Piton (750m) are one of the Caribbean’s most famous landmarks and perhaps the most photographed feature on the island.